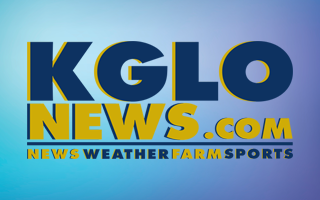 HAMPTON — Clear Lake captured the North Central Conference boys basketball title outright last night with a win at Hampton-Dumont, as you heard on KRIB. After shooting 3-19 in the first quarter and only scoring nine points, the Lions put up 30 points on 11-14 shooting in the second quarter, winning 72-27. Drew Enke had 13 points while Andrew Formanek added 10 to lead Clear Lake, as the Lions improve to 18-0 on the season and are 11-0 in conference play. The Lions are scheduled to travel to Iowa Falls-Alden tomorrow night. 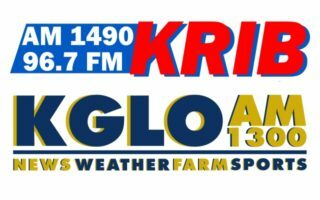 HAMPTON — The Clear Lake girls raced away from a six-point lead at the end of three quarters for a 61-41 win at Hampton-Dumont last night, as you also heard on KRIB. Zoe Fasbender had 21 points while Sara Faber added 18 for Clear Lake, as the Lions are now 15-4 overall and 11-2 in the conference. They’ll face Iowa Falls-Alden on Thursday night in a battle for second place in the North Central Conference. MASON CITY — No players will be suspended after an altercation at the end of NIACC’s men’s basketball game with Southwestern Community College on Saturday. A joint statement released by NIACC and Southwestern on Tuesday says the National Junior College Athletic Association has reviewed video footage and incident reports from Saturday’s game, and based on the available evidence, they will not sanction any student-athletes or coaches for the incident. The statement says the administrations of both colleges have been communicating daily since Saturday afternoon’s game in an effort to understand the casual factors and to identify actions that will ensure a positive environment for student-athletes and fans alike. The statement also says the colleges and the NJCAA take sportsmanship very seriously, and there are strict guidelines for member institutions to follow. Both colleges feel strongly that when those expectations are not met, it diminishes the positive benefits college athletics has to offer. The Mason City Police Department is continuing their investigation of the involvement of the fans engaged in the incident and charges could possibly be filed in the case. 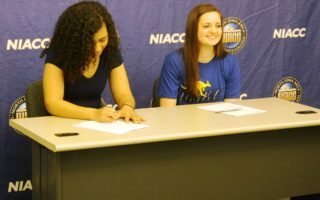 MASON CITY — Both NIACC basketball teams jumped up in the newest Division II rankings released by the National Junior College Athletic Association on Tuesday. The Lady Trojans moved up from #7 to #5 this week. Illinois Central takes over as the top team in the rankings. NIACC’s conference foe Kirkwood moves up from #4 to #2. On the men’s side, NIACC jumps up two spots to #12 in this week’s rankings. Kirkwood moves into the #1 spot in the nation in the new rankings. NIACC is scheduled to travel to Iowa Central tonight for a conference doubleheader. You can hear the games on AM-1300 KGLO starting at 5:30. IOWA CITY — Iowa forward Joe Weiskamp has been named the Big Ten freshman of the week twice in the last three weeks but is contributing more than his 11 and a half points and five rebounds per game. The Muscatine native is one of Iowa’s best defenders and is second on the team in steals with 23. Defense is normally an area where freshman struggle but Iowa coach Fran McCaffery says Weiskamp has excelled at that end of the court. McCaffery says Weiskamp has the tools to be a special defender. The 20th ranked Hawkeyes visit Indiana on Thursday. CEDAR FALLS — Northern Iowa coach Ben Jacobson says the Panthers will face a much different Bradley team when they collide in Cedar Falls tonight. UNI hammered the Braves in their Missouri Valley opener but that was before they made significant lineup changes. The Panthers are 5-5 in the Valley and Jacobson says they are preparing for a much different team. Bradley has won three of its last five and is 3-7 in the conference. 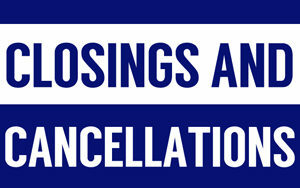 State dual pairings will not be released until all the regional duals are completed, as several were postponed around the state last night due to the weather. That includes Hampton-Dumont in the Class 2A regional at New Hampton, which is scheduled to be made up tonight.